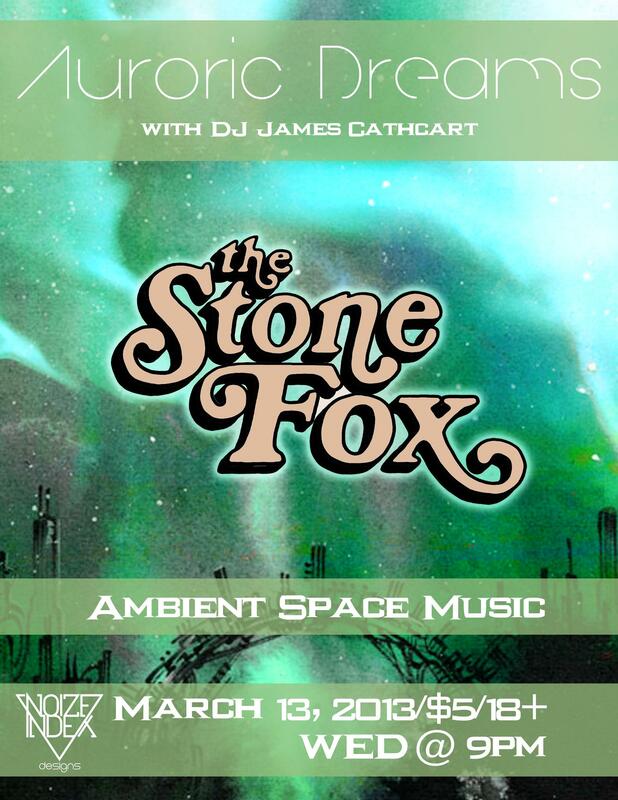 On Wednesday, March 13th at The Stone Fox, space music legend Tony Gerber joins forces with electronic music’s next generation Noize Index (aka Bryan Burnett) in their new band Auroric Dreams. The show also features DJ James Cathcart spinning “spacy minimal synth to freaked out earthy commune jams” and Circuit Benders’ Ball alum Josh Gumiela projecting trippy OpenGL visuals. James recently teamed up with Third Man Records and the Belcourt Theatre for a monthly experimental film series called The Light and Sound Machine. Josh just unveiled his newest art installation (which involves water dropping into an old metal pan in increasing frequency) at Boheme Collectif’s Future Night. He hopes to have the installation up again at another venue soon. In addition to all of that, this concert is a big deal to me because of Tony Gerber’s massive contributions to the Nashville music scene. Many are unaware of Nashville’s ties to the development of space music, the genre of ambient experimental music popularized by the Hearts of Space public radio show. Vanderbilt Department of Fine Arts faculty member Don Evans began the Vanderbilt Media Experimentation Center in 1969 and fostered a spirit of exploration and rule-breaking in the many students who took his video art, multimedia, photography, and computer graphics courses. I had also started collaborating with Don Evan’s at Vanderbilt University in the early 80s. Don is well known for his multimedia work in the 60s and continues to this day. He has a huge collection of esoteric electronic music recordings and is a great supporter of electronic music. He had been using eMusic composers with his performances since the 60s and it was a natural for me to start working with him. Thus I was introduced to multimedia performance in conjunction with eMusic. Tony formed Space for Music, a Hearts of Space listening group that eventually evolved into a radio show, music festival, and label. The listening group helped foment Nashville’s space music community, with notable members including Jack Tamul, Gil Trythall, William Linton, Robin Crow, Allen Green, and Giles Reaves, whose 1986 album Wunjo made Electronic Musician magazine’s list of top electronic albums of all time. In 1996, Tony formed the influential space music group Spacecraft with Lexington, Kentucky’s John Rose (later adding Diane Timmons). Tony continues to innovate. As his avatar Cypress Rosewood, he hosts a weekly Ambient Sunday concert on the virtual realty world Second Life. Tony and his brother Todd talk about their musical accomplishments and the Nashville music community on episode 90 of Theatre Intangible. I’m incredibly excited for this show, and I hope to see you there!